Dirak is a leading Railway lock and hinge manufacturers in India. We are dedicated to ensuring that you get the products that you need when you need them. 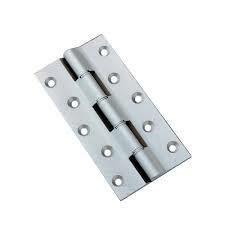 We do Railway lock and hinge suppliers in India and we do them well! Dirak Company hinges come in materials such as stainless steel, aluminium, galvanized steel and many others for your convenience of choice. Railway lock and hinge manufacturers company mission to provide you with incredible customer service and products that achieve total customer satisfaction. With us, clients can stay assured for the quality of the products as we make use of the first class raw material that is tested on several measures prior to product manufacturing. Install current packaging facility assists us in meeting standard as well as adapt packaging requirements of the patrons. As per the requirement of our customers, we bring forth a wide array of Door Lockers. Railway lock and hinge manufacturers in India is one of the best-rated companies in the field of door Locks in a wide variety all over the market. There is an extensive demand for these quarter turn locks by our customers.